Right now the lemon trees are near bursting with fruit. I love lemons in everything and find that I end up with one chopped up, juiced, or zested in almost every meal I make, and usually in my glass of water too. The smell alone makes me happy. I was given preserved lemons a few years ago as a beautiful and thoughtful gift, but was at first unsure what to do with them. 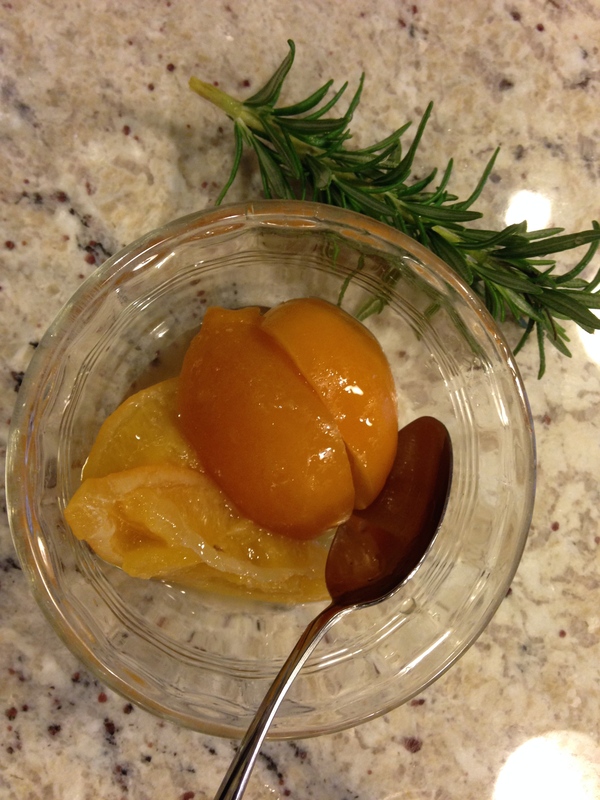 After some trial and error, I am now hooked and in some recipes I much prefer a preserved lemon over fresh. Preserved lemons can add so much flavor to a dish and they are a wonderful way of keeping lemons long after the season is over (and look pretty on your kitchen counter at the same time). You can use regular lemons or Meyer lemons, but make sure to use organic, as commercial lemons have wax on their peels which will not allow for the salt to penetrate or preserve as well. Meyer lemons have a much milder flavor, while regular Lisbon lemons preserved can be quite tart, although that may be exactly what you may be wanting. Preserved lemons don’t need a lot of ingredients, but do need a lot of time. Trust me, it is worth it! Rinse the lemons and dry thoroughly, and then cut lengthy-wise into quarters leaving the peel attached at either end. Then pack as much kosher salt into each of the cuts as possible. 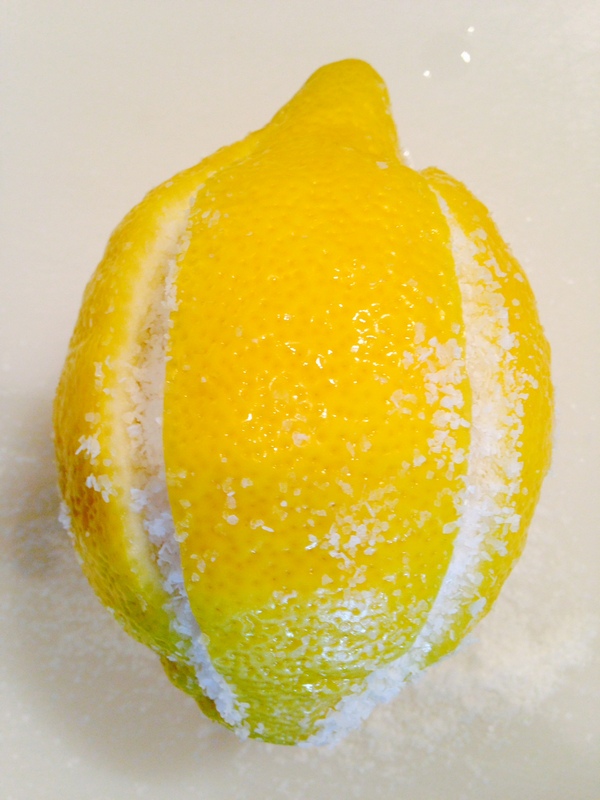 Push the salt into the lemon with your finger to make sure it is really packed in. After the salt is in all of the cuts of the lemon, then put the lemon in the jar. 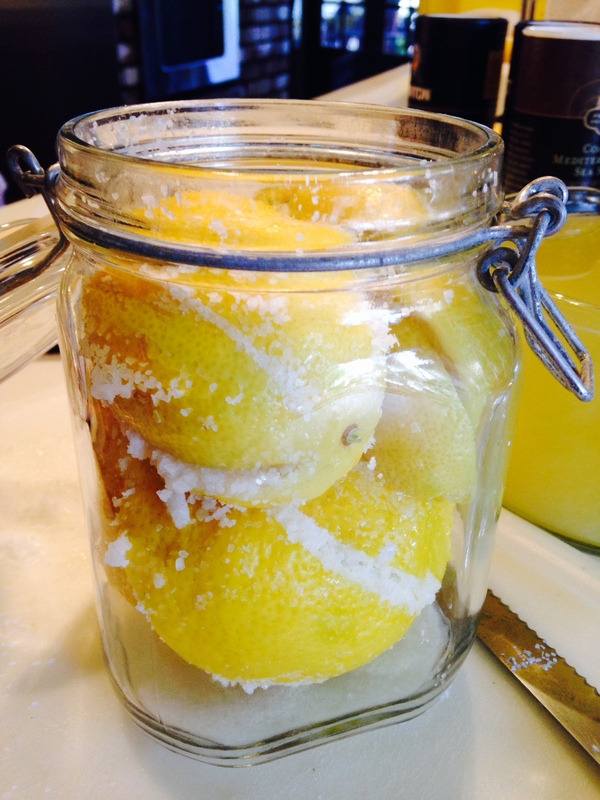 Repeat with the remaining lemons, pushing each into the jar until the jar is packed as tightly as possible. Seal the jar and allow it to sit over night. After sitting for 24 hours, fill the jar with lemon juice until filled to the brim, and then reseal the jar. Keep the jar in the dark, the back of a pantry or kitchen cabinet will work. Once a day for a week, take the jar out and gently turn it over and back a few times to redistribute the salt. Also open the jar and add some lemon juice to make sure the liquid stays up to the rim of the jar. Most days this only took a teaspoon or two of juice, but for some reason, the fourth day the liquid had gone down considerably, so make sure you have enough lemon juice on hand. After one week, you can take the jar out of the dark, but leave it sealed for three weeks before using. Boil fingerling potatoes for 20 minutes until softened. Remove the potatoes from the water and smash the boiled potatoes (not too much, but enough to open them up a little) and place at the bottom of a cast iron skillet. Drizzle with half of the olive oil. Take part of the preserved lemon and break up over the potatoes. You will not need to add salt, since the lemons will have enough salt for the dish. Place the chicken over the potatoes and lemons. Use the remaining olive oil and lemons to cover the chicken. Sprinkle leaves pulled from the rosemary sprigs over the top and add ground pepper. Roast chicken for 1 hour at 425-degrees. If any of the lemon peels at the top of the dish are charred, discard, the rest you can eat along with the chicken and potatoes. (They may be my favorite part!) I prefer to use preserved Meyer Lemons with this dish, but preserved Lisbon lemons works too, I just use a little less so it isn’t overly tart. We will have plenty of organic Lisbon and Meyer lemons at the Town and Country market tomorrow along with fresh sweet corn and beautiful eggplant. Hope to see you there! Any idea how to preserve lemon zest?? Never tried preserving lemon zest before. I have made a Persian Lime salt – where you zest a lime and then bake the zest on parchment paper for 15-20 minutes in the oven on low heat. Then mix the zest thoroughly with a sea salt and store in an air tight container. This works nicely for cooking with chicken or fish, but I have never tried to preserve just the zest.